Nashville is known for being the Music City that Never Sleeps, but there's also quite the dark underbelly that rarely gets discussed in the mainstream media. People like Paul Dennis Reid, however, manage to draw the darkness out into the light. The tale of this serial killer's brutal crime spree is nothing to sing about, and yet it's a fascinating case of serial murder here in the Volunteer State. Let's get to it. As he grew, Paul dabbled in drug use, attempted to sexually abuse his sister and mother...He dropped out of school, remaining a habitual liar, physically violent, and an incurable thief, with a vicious temper and no regard for the law. Later, Reid would be diagnosed as a chronic paranoid schizophrenic, who suffered from delusions for nearly his entire life. He was also found to have been brain-damaged. A lesion on his left temporal lobe interfered with his ability to communicate and possibly compromise his grip on reality. It was underscored by his belief that the government was constantly surveilling him. Both victims had received deep stab wounds to their necks, as well as stab wounds, cuts, and abrasions to other parts of their bodies. They had bled to death. 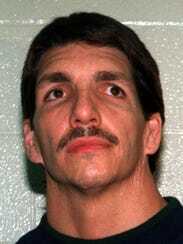 Paul Dennis Reid was arrested in June 1997 after attempting to kidnap the manager of a different Shoney's Restaurant. Reid was eventually convicted of three counts of premeditated murder, three counts of felony murder, one count of attempted murder, and one count of especially aggravated robbery. He was sentenced to death but managed to avoid the eventual carrying out of his sentence through appeals due to his emotional problems. He died in November 2013 at the age of 55 of chronic obstructive pulmonary disease and pneumonia.